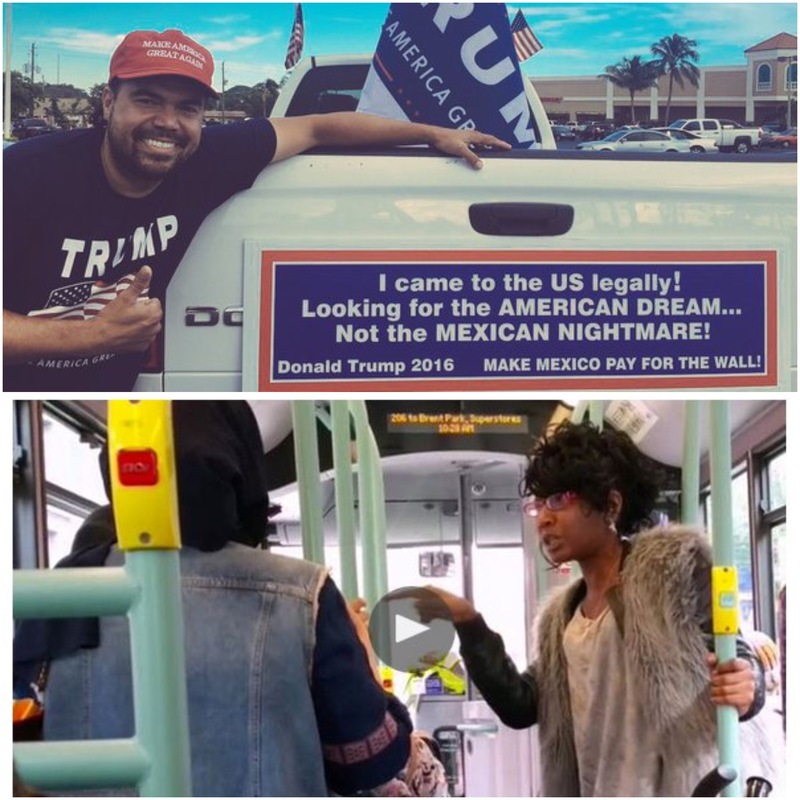 A picture from America, of a gentleman posing with his truck, the back of which carried the slogan, “I came to the US legally! Looking for the AMERICAN dream. Not the MEXICAN nightmare!”, and called for the construction of a wall around the borders of paradise. To keep the hordes out, presumably. Now, adherence to a legal code is good, if everywhere there is freedom and dignity. If there is not, then everything which contributes to the perpetuation of the status quo is probably a candidate for change, even if not necessarily an abomination. To stick to the letter of an arbitrary political or religious law, and thereby to absolve oneself of ethical responsibility is the way to horrors — we know this from our history books, and the evening news. Yes, it could be a valid view: that this is the problem that needs solving, his individual comfort, rather than racial profiling and police brutality, in general. Or, indeed, exploitative supply chains, climate degradation, support to tyrannical regimes, corruption, barbaric systems of punishment, discrimination, war, famine, disease, absence of social support, and all the rest that get people to flee. It does remind me of children who would rather wish that the school building get hit by an earthquake, than that the teaching improves to allow them to sail through a dreaded test. Irony would probably call it a day at this point, and sneak off to the nearest public house. I am not aware of any academic studies which investigate whether immigrants, and first- or second-generation descendants of fresh immigrants, statistically tend to prefer political parties that discourage immigration. Anecdotally, I think this might be the case; perhaps out of a feeling of insecurity, to prove that they truly belong. All this flag-waving, this zeal for arbitrary borders, this belief in after-worlds — it would all be very well, if the blessed followers did not insist on distinguishing certain human beings, on vilifying the Other, and, through action or inaction, on depredating them. The standard of free humanity. The idea is a hundred and fifty years old — when shall it find fertile ground?